One of the things Spanish-learners struggle with the most is pronunciation, especially if no one in the family is a native speaker. 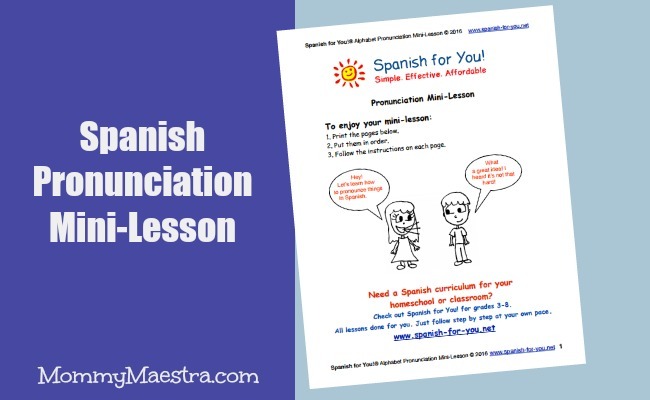 Luckily, this month's freebie from our sponsor - Spanish for You! - has families like you in mind and they've put together an awesome mini-lesson to help you. This activity comes with both printables and four audio files. It teaches the sounds of the Spanish alphabet, as well as 45 words to help students learn how to pronounce letter combinations.